Wine Cork Board Strip 36" x 5" Your special occasion corks will no longer have to collect dust or hide in a drawer. With our unique variety of cork collector kits, you can create your own personal work of art. Wine cork art projects are fun to do with the family. The end result is a beautiful cork bulletin board filled with memories of your favorite wines. 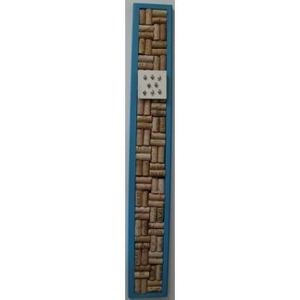 Solid pine cork board and mounting board measures 36" x 5" Corks & pewter pushpins not included. Takes 76 wine corks to create this wine cork board strip. Made in USA. Ocean Blue Finish Hang horizontally, vertically or don't hang at all. 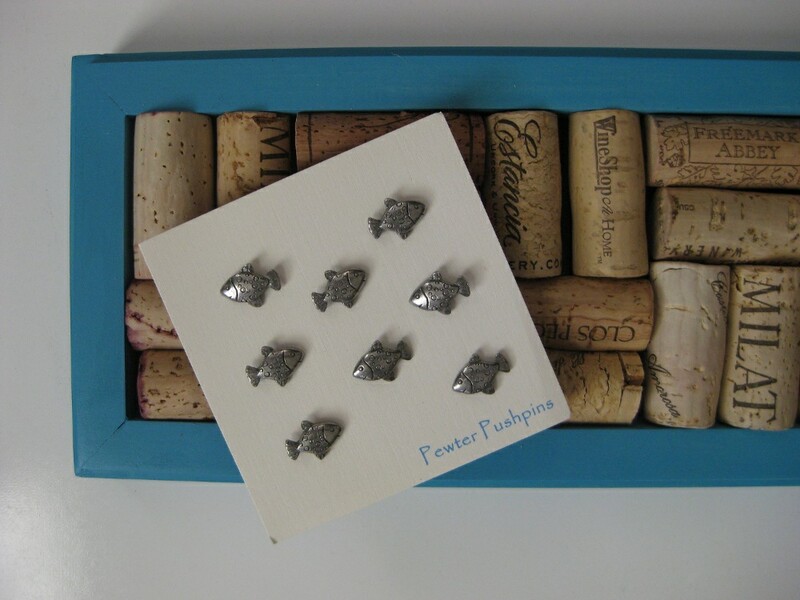 Lean your Wine Cork Board Strip against a wall or across a table.